Home / Plates & Bowls / Large Dinner Plate – Homemade! Large Dinner Plate – Homemade! 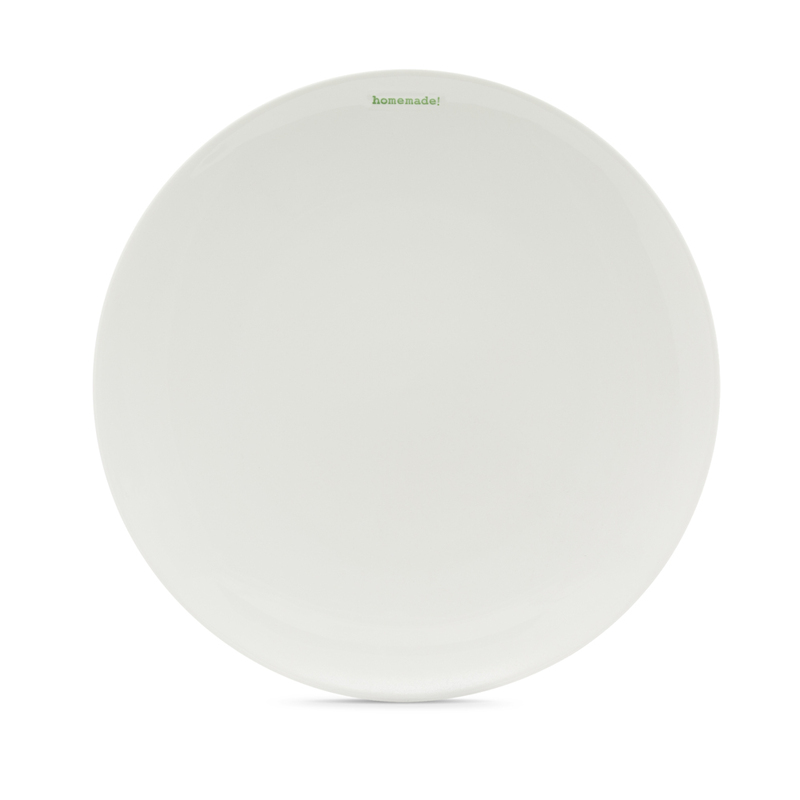 Stylish & original Keith Brymer Jones crafted large dinner plate with “homemade!” hand stamped by the skilled hand of a master craftsman into the super white porcelain body. Part of the Keith Brymer Jones Word Range. The perfect way to present a delicious home-cooked meal, Keith’s ‘homemade’ ceramic dinner plate is meticulously crated from white porcelain and hand-finished with distinctive green lettering.